Save the Met campaign at Tim Barchard's Professional Martial Arts Academy, http://www.promaacademy.com/, in Derry, NH. Event is to raise money to save "The Children's Metamorphosis Museum" - http://www.childrensmet.org. The Met is an interactive children's museum serving Derry and surrounding communities in New Hampshire and Massachusetts a private, non-profit hands-on museum for all young children, their families, schools, and teachers. 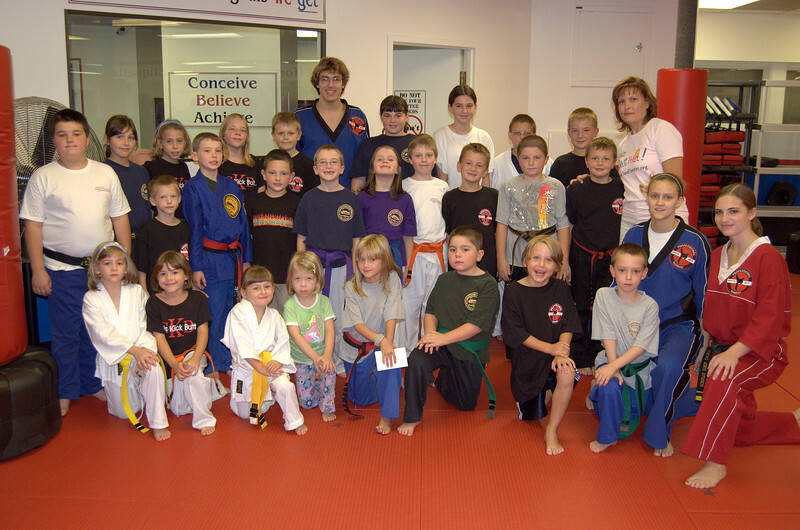 A group shot of the 27 participants of the Kick-A-Thon and instructors. Also, Tracy Jansen-LaPlante (standing far right) executive director of The Met.